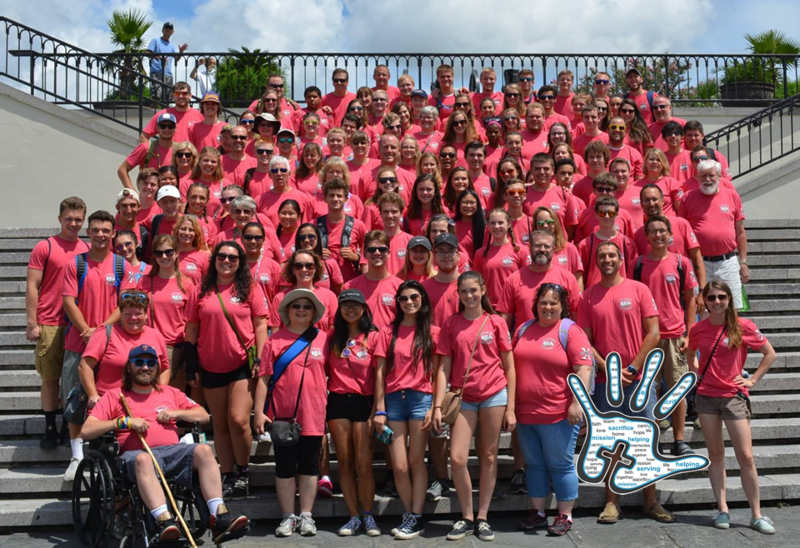 Be a part of LutheranHANDS – donate today and go on our next mission trip! The LutheranHANDS Foundation provides guided and educating volunteer opportunities which stimulate growth in faith, strengthen faith-based communities, and provide spiritual strength through service to the world community. LutheranHANDS was born out of the aftermath of Hurricane Katrina in 2005. Two youth leaders from the Lower Susquehanna Synod of the ELCA responded to the call for volunteer clean-up help and were forever changed. The following year they planned a mission trip to return to New Orleans for their congregations and invited a few friends to bring their congregations. Before they knew it, they had three bus loads of eager young people to travel and the foundation for LutheraHANDS. Since then LutheranHANDS has led mission trips every summer for 150-200 volunteers and a winter mission trip for between 20-50. In 2013 LutheranHANDS added an international mission trip and weekends-in-service throughout the year. Rooted in faith, guided by the call to serve, LutheranHANDS continues to grow and offer more opportunities to serve. LutheranHANDS recognizes that the need is great for volunteer help and that there are many volunteers who want great volunteer opportunities. We will continue to provide opportunties as long as we can. We are branching out. As LutheranHANDS grows our ability to offer more, we are expanding geographically. We originated in central Pennsylvannia and are now serving volunteers in New Jersey, Maryland, and Delaware. It is our goal to serve volunteers all 50 states the best way we can.